I was eagerly looking forward for the day as this was my first event as an organizer I was feeling very excited as well as little scary as on, how to handle the team as an organizer. Moreover I was going to ride on my Ghost rider. Googled all the possible information and took help of Sonali my co-organizer and other organizers in deciding the place, google forms and opened up the event. 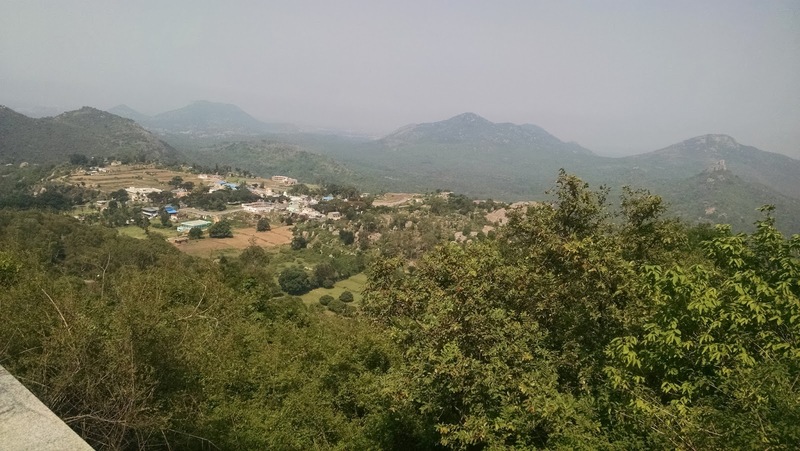 Devarayana durga was the place decided to ride for. It was about 73 kms from Bangalore one way. We needed to ride early to avoid return journey on breaching sun. Dreams never entered as I could not sleep on the night before the ride, waiting for my cell to ring the alarm.We reached Yestwantpur before the scheduled time and waited for others to join. We set started at 6.30 am with 5 riders, 2 pillions and a car. We were not in a hurry so no speed, but enjoyed the cool breeze of air while riding on the highway till Dabaspet. As we need to fill petrol, had taken service road which later helped us in diverting towards Devarayana Durga. Started climbing the hill and just remembered that there was no introduction done as we were busy riding all while. Intro session started with unmarried and newly married and married with their experience of life. One was them was student also. After intro, we climbed the hill top and felt thirst. Eat cucumber and mango till the temple opened. Enjoyed the beauty of city and fields from hill top and spent some time chitchat. Clicked some photos and started descending down. We started our return journey at around 1.00 pm. On the way took a break for light snacks with soft drinks and finished the feedback session also. Started to ride back towards Bangalore reached Bangalore around 3. 30pm and wished everyone and departed.